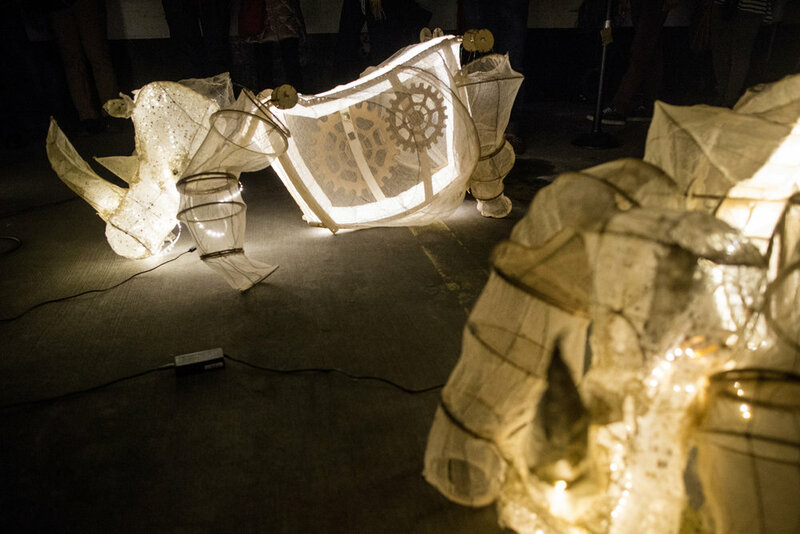 A installation and performance commemorating the final days of the nearly-extinct Northern White Rhino, “Requiem for Rhinoceros: Nabire's Dream" will call attention to the four white rhinos that exist on earth today by giving flight to robotic puppet effigies. 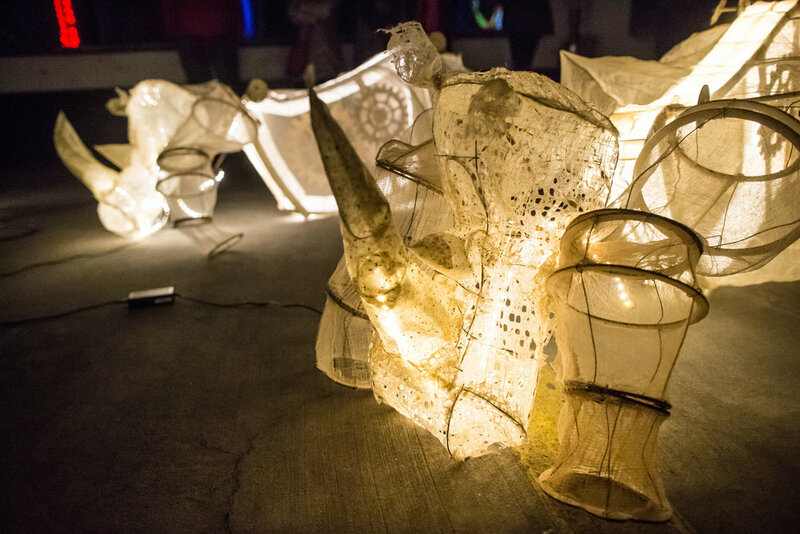 This collaborative and participatory performance will highlight the need for conservation of this critically endangered species and investigate our collective empathic responses. David Nunez is a creative technologist and roboticist, executing projects at the intersection of art, design, and technology. He is currently a Research Specialist in the Opera of the Future group at the MIT Media Lab, where he is working on computational choreography of machines and robots on stage and in street performance. He has designed mobile apps, games, and interactive software for clients such as JK Rowling's Lumos organization, Candlewick Press, PBS, Electric Type and the Personal Robotics Group at the MIT Media Lab. His robotic marionette, El Quemira, won multiple blue ribbons at the 2007 Austin Maker Faire.